5 × 2 = Required Please enter the correct value. The Dow Jones today rose 130 points in pre-market trading on news that the U.S. economy added another 233,000 jobs in May, while the unemployment rate dipped to 3.8%. The jobs figure was well above the 188,000 positions expected by economists. If you own index funds… you need to read this warning. The last several months have created dire conditions for anyone who is passively investing their money in the markets. A storm is on the horizon, and if you want to protect yourself and make money at the same time, you need to listen to an opportunity we've kept in our pocket for years. Money Morning Special Situations Strategist Tim Melvin explains why low-cost index funds are on the verge of imploding. Here's what you need to know. Markets are cheering the jobs report, which easily topped expectations, this morning. In addition to a falling unemployment rate, the U.S. Department of Labor announced that U.S. hourly earnings increased by 0.3%. This report could provide the U.S. Federal Reserve with additional reasons to raise interest rates as concerns about inflation persist. The Fed has said it will raise interest rates two more times in 2018. However, the market has priced in a 30% chance that the Fed hikes rates three additional times. U.S. President Donald Trump has fired the opening rounds of a possible trade war. The United States hit the European Union, Canada, and Mexico with tariffs on steel and aluminum. Canada responded yesterday with retaliatory measures to target similar U.S. products. 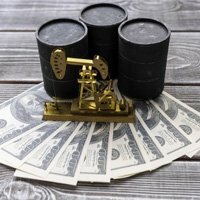 Crude oil prices fell Friday as markets continue to eye OPEC's next move. According to reports, Saudi Arabia and Russia have discussed plans to increase total production by 1 million barrels per day. The uptick would aim to address falling production in Venezuela and U.S. sanctions in Iran. The rumors come as U.S. production is sitting at near-record highs and is rivaling the output of Russia. These factors are part of a wider list of issues that will only continue to press oil prices lower in the months ahead. 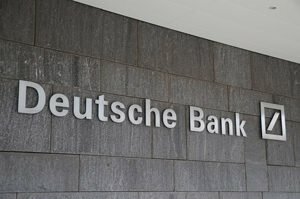 Deutsche Bank AG (NYSE: DB) is facing a possible crisis. S&P Global Ratings cut the company's credit rating and said that there are "significant execution risks" in its turnaround strategy. The credit downgrade came one day after the Fed said the German bank's American arm is "troubled." DB stock is off 0.5% this morning. Shares of Apple Inc. (Nasdaq: AAPL) added another 0.5% after the tech giant received a stock upgrade from UBS Group AG (NYSE: UBS). The Swiss bank hiked its price target on AAPL stock from $190 to $210 and cited the tech firm's growing services business as a driver of increased revenue. Shares of Twitter Inc. (NYSE: TWTR) added another 1.1% after the social media firm received an upgrade from MKM Partners. The investment research firm hiked its price target on TWTR stock from $40 to $43 and suggested that the upcoming World Cup could drive a significant amount of revenue for the company. Firms reporting earnings this morning include Abercrombie & Fitch Co. (NYSE: ANF) and Big Lots Inc. (NYSE: BIG).